In the lead-up to the 2017 Chicago Marathon, I completed fewer runs of 20 or more miles (just one) than I had before any of my preceding 40 marathons. Not so. When race day came I cruised my way to a finish time of 2:39:30, breaking a personal best that had stood for eight years. The lesson of this story is not that running less leads to better marathon outcomes—quite the opposite, in fact. Although I covered less distance in my longest individual runs before Chicago than I had before prior marathons, I ran more total miles, and that’s why I ran my best at age 46 in my 41st attempt at the distance. The typical runner in marathon training focuses more on long-run mileage than on weekly mileage, but it’s better to do the opposite—and science proves it. A 1982 study by Ron Maughan of Scotland’s Aberdeen University, for example, found that average weekly training mileage was a much better predictor of performance in a marathon than the longest distance of a single training run. More recent research has yielded similar conclusions. In a 2011 study, Giovanna Tanda reported that recreational runners who ran more weekly miles produced better marathon times than runners who covered more average distance per run in training. Let’s be clear: This evidence isn’t telling us it’s “bad” to do long runs over 20 miles. What it’s telling us is that these sessions have relatively little value by themselves, and what matters more is what you do the rest of the week. Simply put, you’re better off as a marathoner running 60 miles per week, including 18 miles on Sunday, than running 50 miles per week with 22 on Sunday. Convinced? Good. Now let’s talk about how to increase your running mileage during marathon training. There are three basic ways to do so, and they should be adopted in a carefully-ordered sequence, beginning with the measure that offers the best risk/reward ratio and moving on from there. If you ran less than six times per week in your last marathon cycle, work your way toward running at least six times per week for the next one. Each run you add to your weekly routine will yield a little more fitness. True, the returns are diminishing, such that going from, say, three to four runs per week will give you less of a boost than going from two to three runs. But even going from five to six or six to seven runs per week could shave minutes off your marathon time. As with most things in running, it’s important to make these changes gradually. Don’t jump straight from three or four runs per week to six or seven runs. Add one at a time, and make that added run very short initially—perhaps only two or three miles. To make the transition even gentler, consider doing the extra run every other week and a nonimpact cross-training session in alternate weeks for the first month or so. Do a second long(er) run each week. Once you’re running more or less every day (and you don’t necessarily have to stop there—I ran 10 times per week in my Chicago Marathon build-up), the next most impactful way to increase your weekly running mileage without undue risk is to add a second long run to your weekly routine. In most instances, this workout should come a few days before the long run you’re already doing. Your second long run of the week need not be as long as the first, and it should often include some faster running. Examples are long runs with surges (e.g., 12 miles with the first 2:00 of the middle 8 miles run at 10K race pace) and long progression runs (e.g., 13 miles with miles 10, 11, and 12 each run 15 seconds faster than the preceding). Like your other key workout types, your second long run should follow a general pattern of becoming gradually more challenging as you draw closer to your marathon. Make every run a little longer. Too often, runners who are seeking to increase their weekly mileage in marathon training do so by increasing the distance of most or all of the runs in their existing weekly routine. However, this measure offers a less favorable risk-reward ratio than those already discussed. It’s a proven principle of marathon training that easy days should be a lot easier than hard days, as this allows the athlete to attain higher workloads without failing to get adequate recovery. Adding distance to all of your runs goes against this principle. Nevertheless, as you gain fitness and experience, and as your overall training tolerance increases, you can safely lengthen all of your runs and gain some benefit. Avoid deploying this measure within a single marathon cycle. In other words, don’t try to go from four miles to eight miles on easy days between Week 1 and Week 14 of your present marathon build-up. Instead, go from four-mile easy runs in this cycle to six-mile easy runs in the next, to eight-mile easy runs in the one after that. If you’re doubtful you can increase your weekly running mileage in any of these ways without wearing yourself out or breaking down, it might be because you’re running too fast. Research by Stephen Seiler of the University of Agder in Norway and others has shown that runners of all ability levels improve most when they spent about 80 percent of their total training time at low intensity—specifically, below what’s known as the ventilatory threshold (VT), which falls around 78 percent of maximum heart rate. The average recreationally competitive runner does half of his or her training just above this threshold, at moderate intensity, which is significantly more stressful to the nervous system. As a consequence, runners caught in the “moderate-intensity” rut never fully process the fatigue they accrue from any amount of running they choose to do, causing them to feel as if they’re always near their limit and unable to handle more. 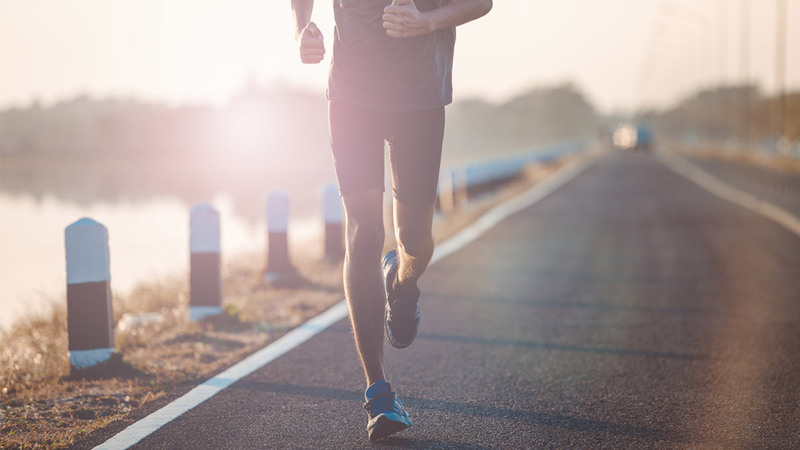 Even if you have no intention of increasing your running mileage, you should determine where your VT lies (which is easy if you already know your lactate threshold heart rate, as VTHR equals approximately 96 percent of LTHR) and redistribute your training intensities to ensure you’re consistently doing 80 percent of your running (measured in time, not distance) at low intensity. When you do, you’re likely to find that you generally feel fresher and perform better in runs that are meant to be done at higher intensities. And, as a side benefit, you just might find that you actually want to run more miles when you train for your next marathon.